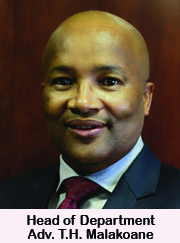 Free State education MEC Tate Makgoe says his department is pushing to ensure mathematics and English teachers at grades eight and nine across the province are suitably qualified, part of a plan to improve pass rates in the two key subjects. Makgoe said far too many teachers teaching mathematics and English at grades eight and nine were qualified to teach the subjects at primary school level, a situation he said was compromising the quality of teaching and contributing to poor performance in the two subjects. According to the latest Annual National Assessment (ANA) results released last December, grade eight and nine pupils across the country performed poorly in English and mathematics, which are some of the most important subjects in todays’ world. Makgoe, who was speaking at a function last Saturday to congratulate the best performers from Thabo Mofutsanyana District Municipality in last year’s matric examination, said his department was convinced the chief cause of lower performance in maths and English at grades eight and nine was the quality of teaching. “We have identified the root of the problem . . . (it is that) learners from these two grades are taught by primary teachers,” Makgoe told the gathering at QwaQwa’s Beacon High School. He said one way to ensure better quality teaching at grade eight and nine was to attach the same importance to the two grades as that given to grades 10 to 12, the top most high school grades. The MEC appealed to non-profit organisation Kutlwanong Centre for Maths, Science and Technology and financial giant Investec that have been assisting schools with funds and other resources to do more to help improve the teaching of maths, science and technology as well as English in local schools. 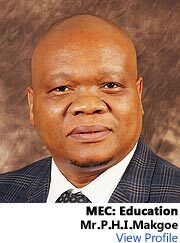 Acknowledging the help provided by Kutlwanong and Investec, the MEC said their assistance has helped see Thabo Mofutsanyana scoring the highest matric pass rates than any other district in the province. “Thabo Mofutsanyana has maintained position one in the province (in the matric examination) partly because of the help received through this partnership,” Makgoe said. 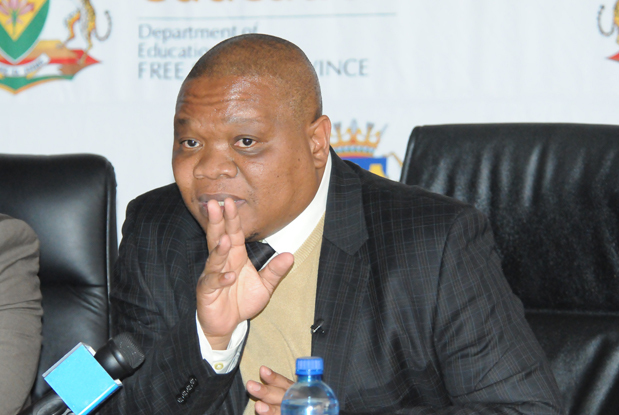 He cited, for example, the fact that eight schools from QwaQwa alone achieved a 100 percent pass rate in the 2014 matric examination, while the second best performer from the Free State was also from the town that is the biggest in the district. “I am proud to say eight schools from QwaQwa achieved the 100 percent pass mark in 2014, with the second top provincial learner (also) coming from this area,” Makgoe said. Kutlwanong board member Mishack Tshabalala attributed the success recorded so far in mathematics and science at matric level to dedicated teachers who he said have made sure the resources and other help mobilised by his organisation and Investec did not go to waste but were used for the benefit of learners. The Kutlwanong education support project seeks to improve the pass grades in maths, science and technology through targeted learning models which are continuously improved, developed and delivered by specialist teachers in extra lessons held during weekends and holidays. The project is backed by Investec through the banking and asset management firm’s ProMaths programme to assist South African schools achieve competency in teaching English, maths and science. Apart from the Free State, Investec is bankrolling similar education support programmes in KwaZulu-Natal, North West, Limpopo and Mpumalanga provinces.